Load bearing owner-built house by Ali and Dean. 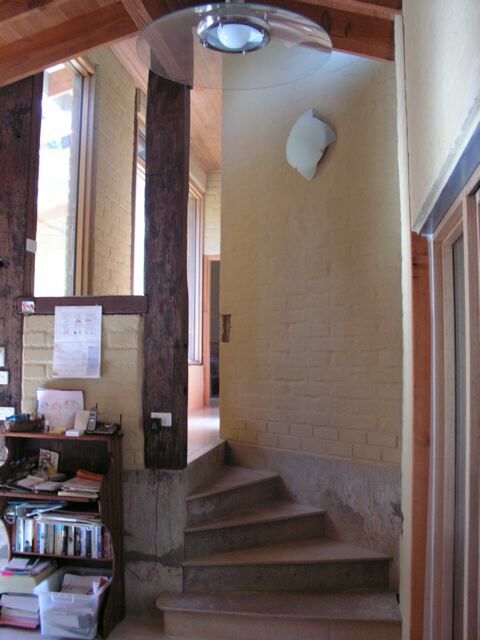 Pressed earth walls laid with highlighted external joints. 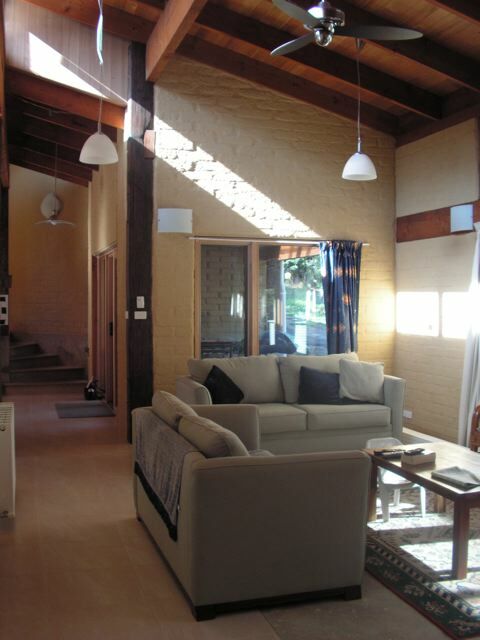 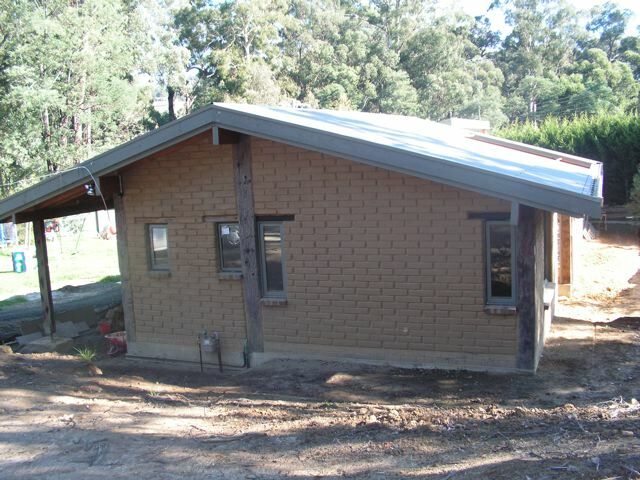 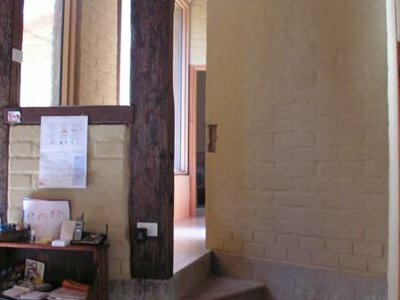 Split level area with the combination of timber and bricks laid in Adobe style. 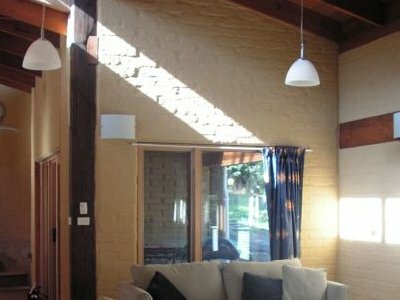 Natural lighting into lounge area emphasising the Adobe style finish. 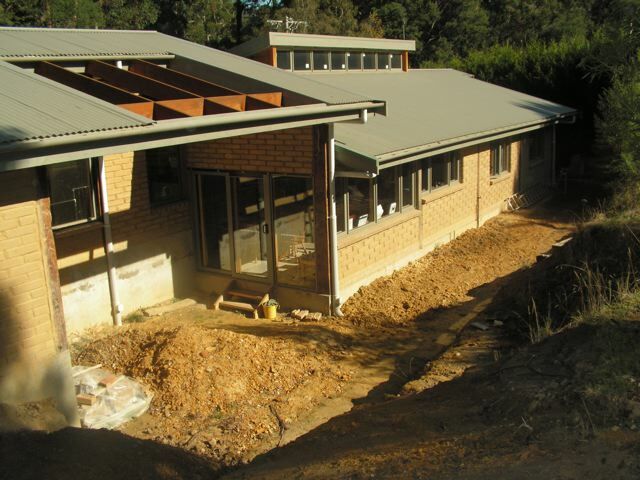 Rear view of the residence prior to landscaping.